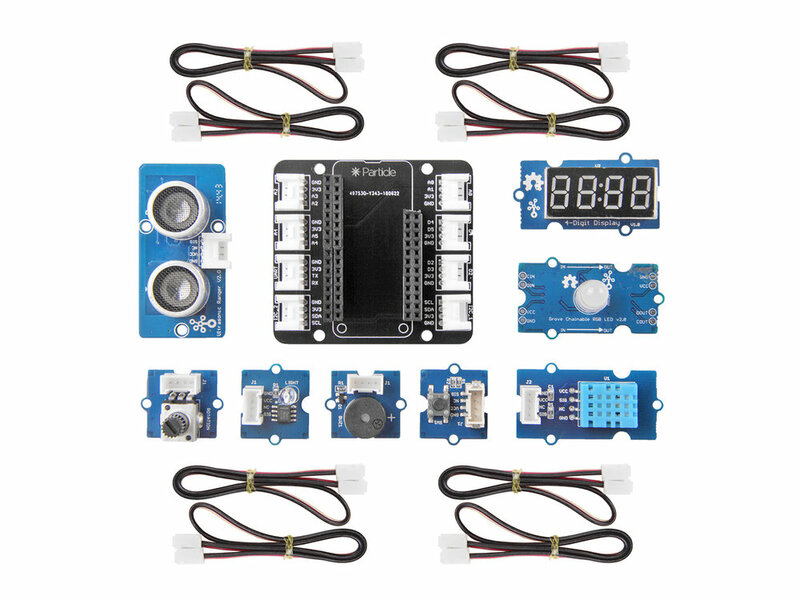 The Particle Mesh Series is a collection of Internet of Things (IoT) boards meant for full cloud integration using WiFi and Bluetooth. The Particle mesh boards are called Argon (WiFi + Bluetooth gateway), Xenon (Bluetooth node), and Boron (LTE + Bluetooth node). These three boards were created to lower the cost of IoT solutions while also creating scalable projects in connected sensors and devices. This means the world of IoT has never been cheaper or more accessible. Particle boards run from $15 to $50 per board, depending on the mesh type (WiFi, BLE, LTE). Typically, you need at least one WiFi device (Argon, $25) and a few BLE peripheral boards ($15), making it possible to create a multi-node mesh network with up to 6 nodes for about $100! All parts used in this tutorial can be purchased from Particle’s website, however, I will only be using the two boards: Argon and Xenon. I will be using a regular HC-SR04 ultrasonic board that I already had in my lab, as well as LEDs, resistors, and other parts used. However, the user can use the same process in this tutorial to replicate the same functionality using just parts purchased on Particle’s website. NOTE: I will not be using the HC-SR04 ultrasonic sensor from the Particle website, instead I will be using the standard HC-SR04, 4-pin sensor. The Particle boards do not supply 5V, so we must use a step-up converter to go from the 3.3V logic to nearly 5V. In my case, I’m using a 3.7V to 5V converter, which works for the HC-SR04. All coding should be done at: https://build.particle.io/build/. Once on the build page, be sure to copy and paste the code below for each board. Then select the device to be flashed, and flash the corresponding code to the correct board. 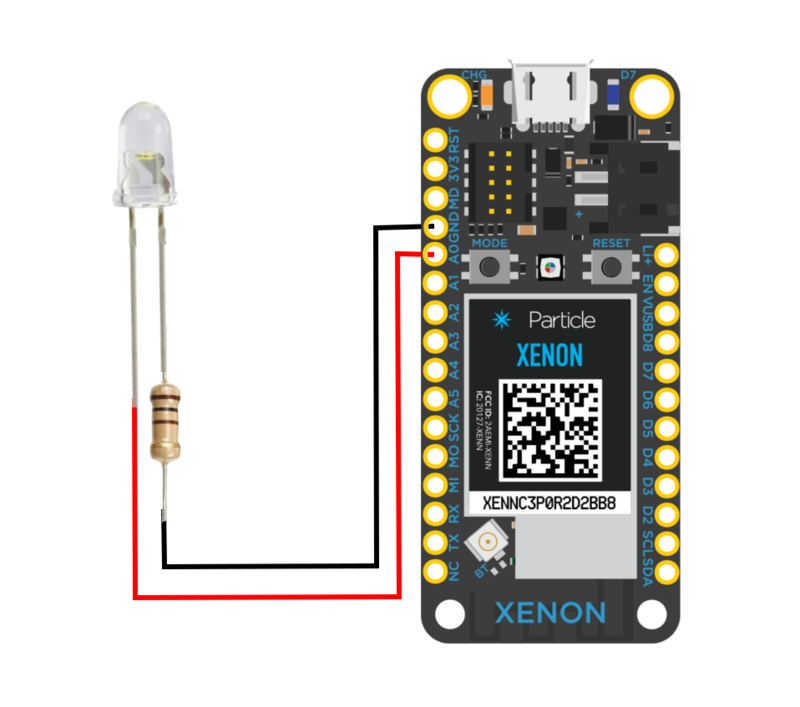 // Subscribe to sensor tripping using the node (Xenon) board. // Now for the myHandler function, which is called when the cloud tells us that our sensor's event has been published. Event printout from this tutorial. The user should be seeing similar results if the wiring, programming, and setup are done correctly. If you’re still not seeing any data populating the event console above, reverify that the correct code has been uploaded to each board at: https://build.particle.io/build/. Particle has emerged as a leader in affordable IoT solutions with impressive integration and compatibility. And now with its Mesh Collection, it has delved deeper into the world of affordable options in connected devices. In this tutorial I demonstrated the power and simplicity of the mesh network by connecting two devices to a common “event,” which we called “tripStatus.” This event was controlled by an ultrasonic sensor and Argon board, which, when tripped at its threshold value, sends a notification to the event handler. The peripheral board subsequently reads this tripping and brightens its LED, notifying the user of an object within the specified range of the sensor. This is a simple demonstration of an IoT security system, and gives users great potential to create multi-node systems based on Particles simple and integrated design.